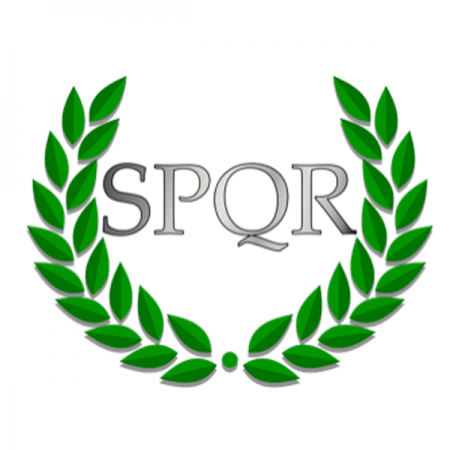 Small Profits and Quick Returns: Think as big as a Roman Emperor and start with small steps towards building your own empire. The reason for a big vision is to have clarity of purpose. The reason to take baby steps is to get results quickly. Small profits and quick returns keep the cash flowing in those vital and scary early days. Returns may come in the form of feedback as much as from revenue or saved costs. There is no business that goes according to (business) plan. If you take those initial steps without having the big picture, you’ll soon be lost. Be very concerned about what’s on the horizon—that’s where you’re headed, but be preoccupied with what’s round the corner—that’s what will get you there. Live your future now; if you don’t, it’ll soon be your past. The returns are going to be bigger if your plan is writ large, and when you write your plan, use the present tense. But while planning is vital, allow yourself to grasp the unexpected—don’t avoid opportunities that pop up even if they weren’t in the plan, since they may yield small profits and quick returns. If that’s all you’ve got ready, sell it, at a big discount maybe. Or, even give it away (protecting your invention, of course). Getting feedback on prototypes early ensures you get the return of buy-in from others later and will ensure that you can make ‘Mark 2’ better. That’s the whole idea behind software developers launching Beta versions for free. It’s the next best thing to being your own customer. There’s grave risk in waiting till the prototype is perfect. Deriving sales now will help keep the cash flowing. You can collaborate with lead users, offering them special deals in return for being available for reference once your definitive product is on the market. When I started in business, I was very pleased to work from Day One with a company that was always being asked by others for advice. I offered more in use-value than was paid for, but the ‘return’ was generated over a long period, because inquiries would come from people who’d asked my client for advice. Lead users have a good awareness of the problem which other users observe much later. There may be a way that you can sell a service before your product is ready. There are many services that you can perform if you have the expertise to produce products. Your knowledge will enable you to offer your time for sale more quickly than perfecting something that you have to manufacture. The fee that you earn generates the revenue that you can apply to the production process. The return may be smaller, but it’s sooner. You may have conceived a grand plan for your product range, but you should not wait until everything is in place before you start selling. Selling a few items will get the revenue flowing and more importantly, you’ll start getting customer feedback before you are fully committed. You can even go out and sell a spec that you fulfill once you have a signed order. This way you’ll avoid unnecessarily scrapping things that have not worked, or were unacceptable to clients on a larger scale. You might want to make use of the Eisenhower Method, to make sure that you are concerned with urgent and significant opportunities first. If you plan to open a restaurant to offer meals throughout the day, start by opening just for one meal only, say in the evening. Then you can use the day time for doing all the many things you need to get done before the full launch, like visiting suppliers. Your kitchen procedures that have let you down in the evening can be perfected behind closed doors early the following day, without getting in the way of food preparation, or when you have customers waiting. Small clients close to home may not seem exciting and be without huge potential, but they will be easier to sell and sales costs will be lower. Getting paid is likely to be easier. If there’s a delay, you can visit the customer personally. Chasing payment long distance is always more problematic and you’ll need all the cash flow you can get to cover your operating costs. Your margins will be better in the short term if you can keep the cost of sales down. Make a point of keeping the sales funnel full, so that you don’t run out of prospects. You must plan on the big or complex sales that are going to give you the best margin eventually, but grabbing easily accessed sales, the ripe fruit, that is right nearby will help you on your way, while bigger ones mature. The big return on these quickly-made sales is that the feedback-and-product-modification process can be accelerated. Little incremental improvements will soon add up. Try hard to reduce the risk of what you do at the early stages of the venture. Of course you want to hire the people that you think you’ll need for the operation of your business, but if you take staff on to the payroll, you need to be sure that you can pay them on an ongoing and regular basis. Maybe you should be thinking about creative ways that you can get round that level of commitment. You can recruit staff on call. What work can you contract out? Can you pay by the hour-worked or are part-timers possible? Only undertake work that is absolutely essential. The return you’ll get from delaying recruitment is keeping cash in the business at the early high-risk stage. There are some startup businesses, like in hi-tech, where you may have to commit big sums of money up-front before you can sell a thing. But most startups work best if you work with as little money as possible and can achieve small profits and quick returns. If you’re hungry, you’ll find ways of getting that vital revenue instead of capital. There are many entrepreneurs who have wasted vital time doing the rounds of investors when they could have been on the road selling goods. In any event, you’ll be better at attracting funding if you have a track record to back your claims.